Fina Puigdevall presents the food and philosophy of her two-Michelin-star Les Cols restaurant in Catalonia in a beautiful new book, Anima. Published by Montagud Editores. RRP €50.90 paperback. Spanish and English. 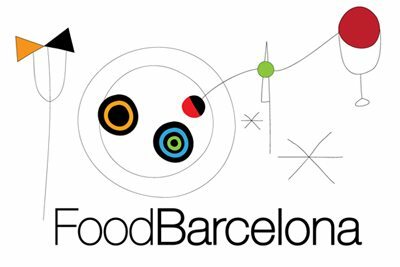 Note: by popular demand, I’m going to write occasionally about new and classic books related to Catalan and Spanish food. You asked for it, you got it. First things first: I’ve never eaten at Les Cols. It and Paco Perez’s Miramar are the only multi-Michelin-starred restaurants in Catalonia that I haven’t reviewed. I cannot, then, comment on the flavour of the dishes described in this book. But damn, they look good. Anima is a brick of a book: compact and dense with 324 thick pages. Fina Puigdevall, who owns and runs Les Cols with her partner Manel Puigvert has shared her recipes but much of the text in the book is written by other people. This isn’t a star chef cash-in, however; it’s a carefully considered, deeply philosophical exposition of what Puigdevall cooks and why. It’s fashionable for cooks to talk about their roots but Puigdevall is the real deal. Her restaurant is in the masia (farmhouse) where she was born, in the town of Olot about 100km north of Barcelona. The ingredients in the book, gorgeously photographed by Mikel Ponce, are all local — completely of the place and of the moment. Puigdevall describes the changing seasons and the landscape of Olot as essential elements in her style of ‘food not travelled’. Everything speaks of sustainability, love and care, from the field to the fork. There are recipes here but it isn’t a recipe book. Instructions are provided for 82 dishes. Many more are simply described and photographed. It is more of a statement of purpose than a straightforward food book; there are more quotations and lines of poetry than recipes — from figures as diverse as Bob Dylan, Albert Einstein, Gabriel García Márquez and Miguel de Cervantes — than there are recipes. It’s not just pop philosophy either; studded among the gorgeous photos and teasing descriptions are long-form essays by academics, musicians and authors on the restaurant, its values and its relationship to the landscape. Anima is a coffee-table book designed to be dipped into rather than devoured, but it rewards careful reading. There are lessons here about Catalan cooking: where it has come from and where it might be going to next. It’s also lovely to simply flick through and look at. It’s written in Spanish, with a few passages in Catalan, but there are English translations on every page. And let’s take a moment to applaud the translators (Cillero & de Motta and Pedro A. Bravo) because they’ve done a superb job here. I spotted very few errors, and the English text is natural and readable. Books like this are always vanity projects for the chefs and restaurants involved. Anima, however, has a wider appeal. It’s not the first book on Catalan cuisine that you should buy, but it merits a place on the shelf of anyone with a deeper interest. As an advertisement for the restaurant, it’s a roaring success. I really must visit soon.